Death isn't always the end of a story, especially when it comes to family secrets. That's precisely why Jim Johnson and Eileen Poole say they are sharing their story now. "We had to keep it hush-hush when he was here," said Poole. "And all this trouble in the churches, I want to let people know that they all aren't bad." The siblings, now in their late 50s, are talking about Father Ralph Maher, a Catholic priest who died in 1982. "When he smiled, he had like this twinkle in his eyes. And he was very kind, very gentle," Johnson recalled fondly. But he and his sister told the News4 I-Team there was a lot they didn't know about Maher and their family while growing up in Maryland in the 1960s and '70s. They said they lived with their mom and two older siblings; their father had returned from the Korean War with mental issues and was in and out of St. Elizabeths Hospital. "He kind of never really wanted me with him," said Johnson. "It was hard. It was hard because I wanted that love and affection from my father." He says that relationship tore at him for years. As a teen he got involved with drugs and even went to jail. He was in his late teens when he learned why the man he'd known as his father never embraced him as his son. "Because he didn't think Jimmy was his, but he thought I was," said Poole. She was a couple of years older than her brother and says she'd started to notice some strange behavior involving their mother, Betty. "It was just something. She was like a little girl all over again, her first high school crush," Poole said. But the siblings said this was no ordinary affair. "He was always wanting to spend time with us," said Johnson. "He was our Uncle Ralph." At least that's what they called him. Father Ralph Maher was a friendly Catholic priest from the local church. Johnson and Poole said he was around a lot and had been as long as they could remember. "It didn't dawn on me as a little kid. I just thought he was from the church and he was here to help," said Poole. They said their mother finally came clean when they were teenagers and told them her love story. Betty Johnson said she'd first connected with Ralph Maher while she was growing up in Pennsylvania, before he was a priest. But her mother intervened, saying his path to priesthood was more important. Decades later, Betty Johnson was a struggling mother of two young children with a husband at St. Elizabeths Hospital; she went to a Maryland church looking for help. "And she ran into Father Maher; now he's a priest," said Jim Johnson. "I think that was fate you know, it was meant to be." In a stunning confession, the siblings said their mother told them Father Ralph Maher was their actual father. "There was a couple of times when I looked at him and he looked at me like, 'What do you know?'" Johnson said. "And I wanted to ask him but I knew my mom told me not to ever say anything to him because he felt uncomfortable, because they're not supposed to have children." But Father Paul Sullins, a research professor at The Catholic University of America, told the I-Team under church law, it's far more serious than that. "To have a sexual relationship with a woman, once you've been ordained a priest, is a crime," said Sullins. Sullins added that it isn't just the breaking of a priest's vow to God, a sexual relationship is an abuse of power over a member of the church and an injustice toward the children. "They grew up without the full active participation of their father in their life. Well, we know that that's not good for a child," said Sullins. The Catholic Church relocated Father Ralph Maher twice in two years around the time Poole and Johnson were born. But the Archdiocese of Washington told the News4 I-Team, "There is nothing in his record that indicates a move for any other reason than what might be considered a routine rotation between parishes." "It's consistent with a bishop who had some idea what was going on, but there's no way to know," said Sullins. When the siblings where just 5 and 7 years old, Maher became the priest at Our Lady's Parish in St. Mary's County. When he died in 1982, Johnson said he and his mother attended the funeral. Maher rests in the shadow of that church today. "Oh it broke her heart," said Johnson, adding that his mother still spoke fondly of Father Ralph until her death in 2016. Poole and Johnson promised never to tell anyone about their parents' relationship until after their mother was gone. "They both were very careful about it," said Poole. "My mom took a lot of pictures of us kids growing up but we didn't find any with him in it." But the I-Team found Jim did tell someone about his pain — 35 years ago. In a court record dated just seven months after Father Maher's death, a psychiatrist noted Johnson's "natural father is a deceased Catholic priest" and that "his mother had an ongoing affair with his father for many years." "We'd tease her about sitting close to him on the couch. They'd want to hurry up and kiss before we came back in the room so we wouldn't see them; but we'd catch them at it," said Poole. Johnson added, "They hugged, kissed; they spent time together." Poole and Johnson said much of that time was at a small home Maher owned along Breton Bay, not far from the church. They called it "the beach house" and remember it fondly. "It was a special place to all of us. It was a place where we could go and relax," said Johnson. Their mother told them Mather planned to "retire" from the church and grow old there with her, eventually leaving that home to his children. But when he died, the I-Team found his will made no mention of that home at all, let alone Poole, Johnson or their mother. "It may have hurt her a little bit because his memories would still be there in the house," said Poole. "It was getting closer to him retiring from the church, and they were planning on getting married." Sullins does not think the church will ever allow existing priests to marry. But he said priests who father children have a duty to leave the church and take care of their family. He believes thousands of priests have struggled with that decision. "Definitely there are more children of priests than we know. They are not going to come forward and advertise their existence, usually," said Sullins. Vincent Doyle, the son of a Catholic priest, founded the organization Coping International to offer guidance and support for others dealing with the same situation. He told the I-Team he's spoken with nearly 500 people from around the world who said they were fathered by priests. "There's no way to know how many priests have fathered children," said Doyle. "Our website started in 2014 and 60,000 people have already visited. The U.S. is among the top five countries for web traffic every month." Doyle and his organization are advocating for the Catholic Church to issue and publicize guidelines for how priests should handle their responsibilities, if they become a father. In a statement to the I-Team, the Archdiocese of Washington said it has no statistics on frequency of priests fathering children in the Washington, D.C., area. A spokesperson said Father Maher was "an exemplary priest and a beloved parish pastor" and that it has no record of the church ever being made aware "of any relationships he may have had, or that the archdiocese received any allegations of abuse or misconduct." When asked about the standard discipline in a case like this, the spokesperson added, "If the archdiocese is made aware of, for example in this case, a priest fathering a child or children, he would be withdrawn from ministry and a formal investigation would be launched." The siblings understand how some might see their parents' relationship as abuse, but for him them it’s much more complicated. "I know that he wasn’t supposed to have children, but he was a good person. I mean if it wasn't for Father Maher, I wouldn't be here," said Johnson. 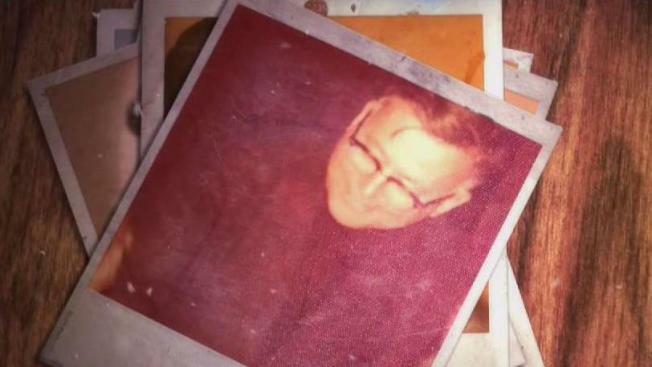 The I-Team reached out to some of Father Maher's surviving relatives. One niece said his family was not aware of any of this and that there's no proof. She said since he isn't here to defend himself, she will choose to remember him as a good person. "Father Maher would talk about his sister's kids here and there. Sometimes he'd show us pictures while we were at the beach house," said Poole. "I just wish I got to know him better — and his family." Reported by Jodie Fleischer, produced by Rick Yarborough and shot and edited by Jeff Piper.